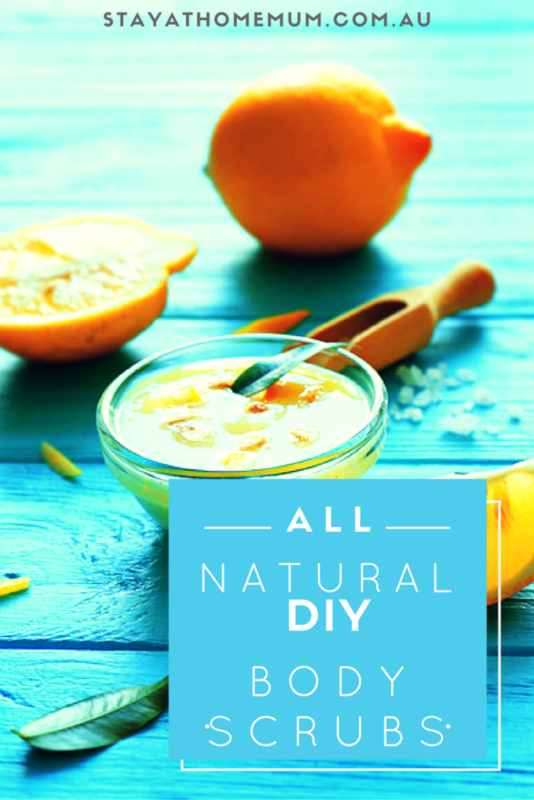 All-Natural DIY Body ScrubsDon’t Buy Them, Make Them Yourself At Home! Here are a few cheap and easy all natural body scrubs which you can make yourself in the comfort of your own home. Now, you can use them yourself, or you can make up jars of them as gifts for family and friends! Please remember that if you are pregnant you must consult a naturopath or medical professional before using any essential oils. Most of these scrubs will last for 2 weeks at room temperature or a month if in the fridge. Combine ¼ cup white sugar with ¼ cup lemon zest in a metal or glass bowl. Add 1 cup olive oil and use your hands to combine the mixture until the sugar is completely saturated with the oil. Stand the mixture for about ½ an hour – the oil should have risen to the top by then and separated from the sugar/lemon mixture (if not, add a little more oil and mix, then stand for another 15 mins). Store the mixture in an airtight container or jar. To use it simply apply to your damp skin, rub in a gentle circular motion and rinse off. Crush 2 tablespoons of dried lavender with a mortar and pestle or in a small bowl with the back of a spoon, then set it aside. Combine a cup of olive oil with 2 cups of sea salt and mix until the salt is completely saturated. Stand for ½ an hour. The oil should now have risen to the top and separated from the salt. If not, add more oil, mix and stand another 15 mins. Add the crushed dried lavender and mix well. Add 2 drops of lavender essential oil, mix, then store in an airtight container or jar. To use it simply apply to your damp skin, rub in a gentle circular motion and rinse off. 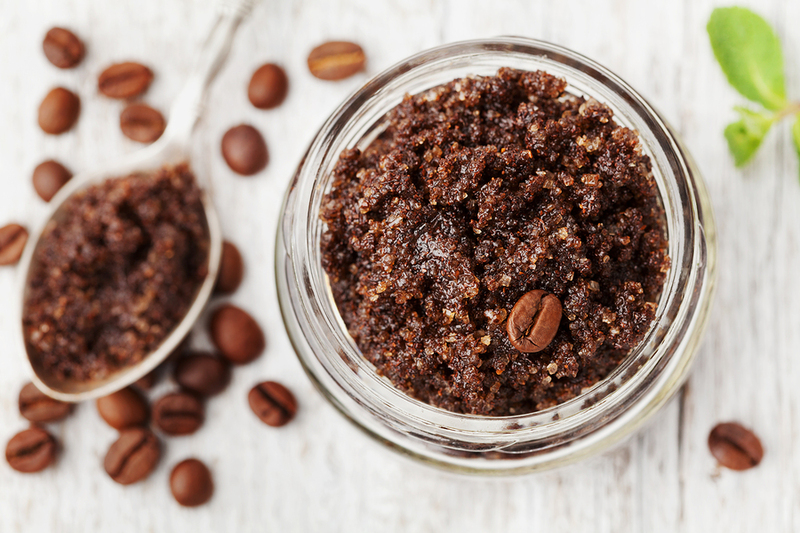 Recently, ground coffee has been recognized as an excellent way to treat and prevent cellulite and it is really invigorating! Mix 2 cups of ground coffee, ½ cup of white sugar or sea salt and 2-3 tablespoons of olive oil into a paste. Massage over the skin in a gentle circular motion and rinse off. Mix 3 tablespoons of cocoa powder, 1 cup of brown sugar and 1 teaspoon of vanilla extract. Add olive oil gradually (you can use vegetable oil but not if you have oily skin) until the mixture becomes a paste. Apply to damp skin in a gentle circular motion, then rinse off. Mix ½ cup Olive Oil and 1 cup Sea Salt until the salt is saturated, then stand for ½ an hour until the oil rises to the top. Add 2 Tablespoons Poppy Seeds and ¼ teaspoon of Orange Essential Oil to the salt and oil and mix well. Rub onto the skin in a gentle circular motion then rinse off.